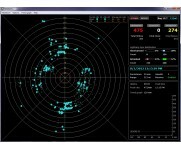 Display lightning strikes from the data collected by either the Boltek StormTracker PCI, LD-250, or LD-350 lightning detectors over the internet or a local network. 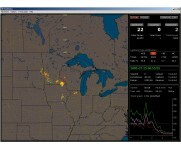 The StormVue NGX* software can be run as a stand alone desktop application which eliminates the need for a web server. Online Help documentation contains all the information for setup and useful tips. Fully functional evaluation version here!